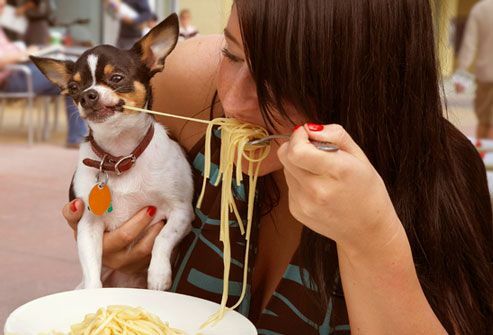 We love to pamper our pets with tasty treats. So what's more natural than sharing a tidbit or two from our own plate? Although a nibble of chicken or steak is usually fine, go easy with giving pets people food. A well-balanced pet food contains the nutrients your pet needs for good health, and should make up 90% of your pet's daily calories. Overfeeding can lead to life-threatening obesity. Vets advise limiting treats to 10% of your pet's total daily calories. How many calories he needs depends on his weight, age, and activity level. For example, a small 10-pound dog may only need 290 to 450 calories a day. Limit his treats to 29-45 calories. Ask your vet about your pet's needs. And beware: some treats can weigh in at more than 75 calories each! Cats need fewer calories than dogs of the same size. In general, for every pound your cat weighs, he only needs 24-35 calories a day. Plus, indoor cats can live pretty sedentary lives. Tailor your treating habits accordingly. Looking for non-fattening treats? Catnip is a good low-calorie option. Your cat also may enjoy toys that encourage him to chase and hunt. 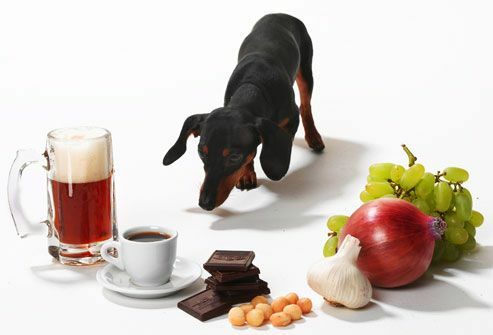 You may love avocados, grapes, macadamia nuts, coffee, onions, and chocolate, but these and other people foods can be toxic to cats and dogs. Not sure if a treat is good for your pooch or puss? Talk to your vet. 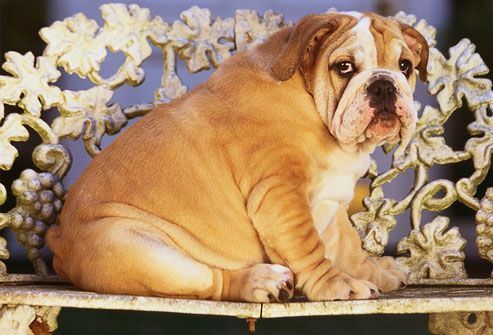 Worried your pet may have eaten something toxic? Call the Animal Poison Control Center: (888) 426-4435. What's in Pet Treats, Anyway? Most packaged pet treats provide the serving sizes and basic ingredients. But how can you tell if they're healthy? One hint: Look for an Association of American Feed Control Officials (AAFCO) statement on the label. The AAFCO sets pet food manufacturing standards and verifies nutrition claims. Check with your veterinarian if you're unsure what treats are right for your pet. Training with treats works with cats and dogs. The keys are consistency and moderation. 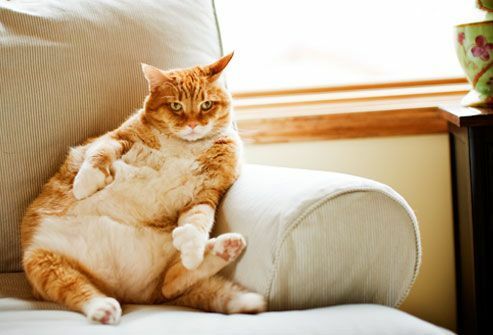 If you're using treats to train your pet to stay off the couch, for example, always keep the couch off-limits. Instead of practicing a good behavior once with one large reward, try training frequently with tiny, low-calorie treats. For homemade treats, try cooking up tiny bits of wholesome chicken, liver, or eggs. 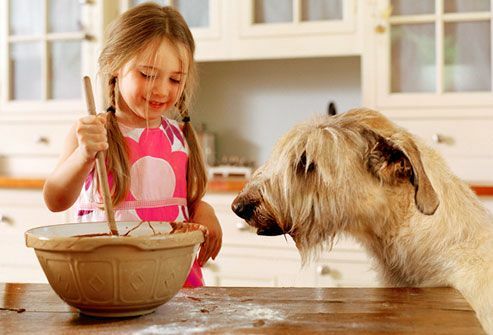 You can also bake pet biscuits with recipes found online. There are also a variety of recipes for pets with medical conditions, such as allergies or organ diseases. 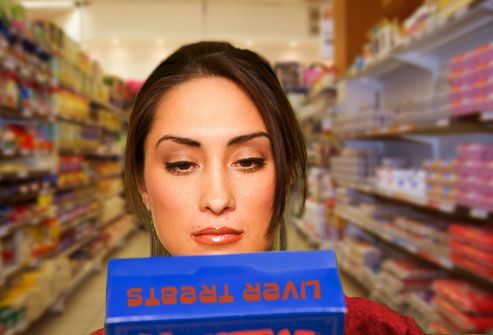 And some canned prescription diets can be thinly sliced and baked in the oven for a tasty, crunchy alternative. It's a good idea to run these recipes by your vet first, especially if your pet has health issues. Treats are great motivators. 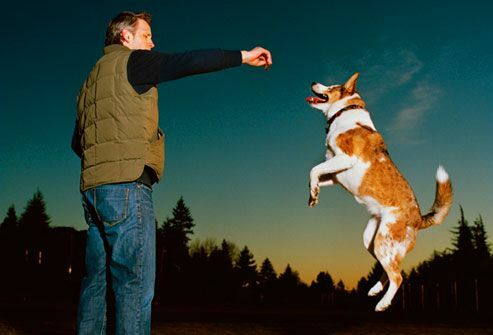 Boost your pet's brain and body by using treats to train for agility exercises. You can also help your cat or dog get moving by hiding dry treats around the house -- an especially effective tactic with indoor pets. Another option: some toys are made so you can hide a treat inside them. Your pup then has to play, paw, and tussle with the toy to retrieve his yummy reward. Reward your pet with treats, but only for behavior you want to encourage. 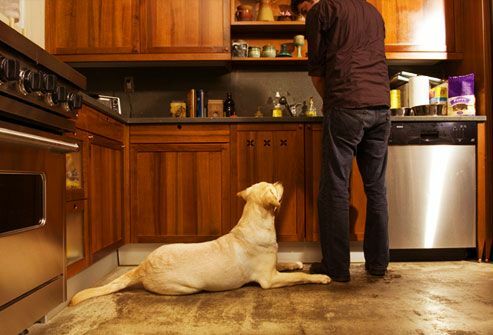 For example, if your pet sits quietly at your feet while you cook, offer a treat. If that initiates begging, stop. Don't give in to whining, barking, or loud meows. If it works once, your pet is sure it'll work again if he's persistent. 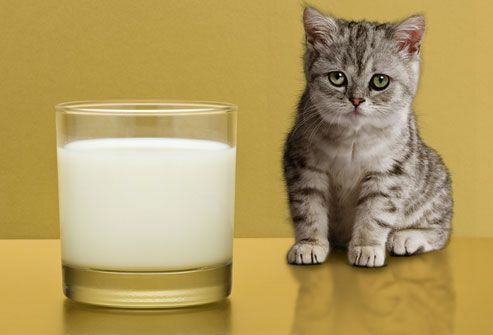 Cats may love milk but it's a bad idea for kittens and adult cats. Drinking it can cause diarrhea. And not all treats sold in pet supply stores are great for your pet either. 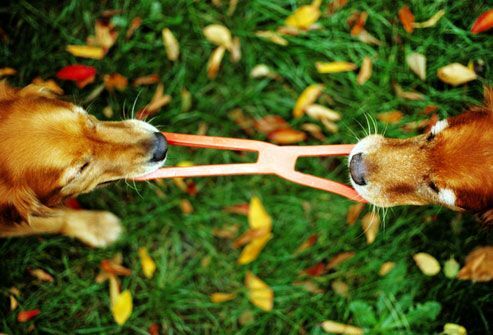 Think twice about giving your pooch hard chews like animal bones, hooves, and nylon bones. They can break teeth and become stuck in the stomach or intestines. Certain pet treats can do double-duty by also helping your pet keep his teeth healthy. Ask your vet about safe chew toys, like rubbery balls or bendable bones and dental diet-approved kibble. You can also check the Veterinary Oral Health Council's web site for approved dental treats. 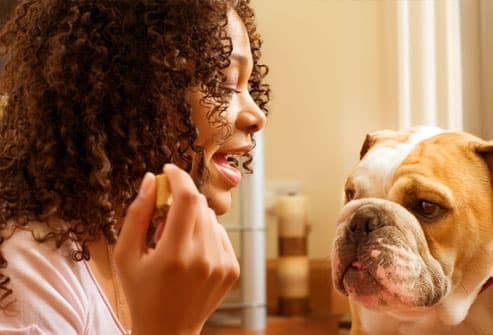 Although most pets relish a tasty tidbit, the treat they probably like best is time with you. 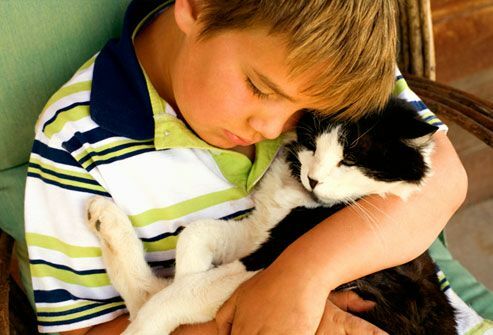 Making time daily to play with your cat or dog helps them bond with you, keeps them fit, and bans boredom. So drag string, throw a ball, and give them what they're hungry for: lots of praise and love from you. The Humane Society of the United States, "Foods Potentially Poisonous to Pets." ASPCA Complete Guide to Dogs, Sheldon L. Gerstenfeld VMD, Jacque Lynn Schultz. ASPCA.com: "Dog Treats with Semolina Wheat Flour" and "Animal Poison Control Center." The National Academies: "Your Dog's Nutritional Needs." Arden, A. Dog-Friendly Dog Training , 2nd Edition, Wiley Publishing, Inc. 2007. Jolanta Benal, certified professional dog trainer: "Make Your Dog's Begging Less Bothersome." Tony M. Woodward DVM, AVDC, veterinary dentist; diplomate, American Veterinary Dental College; Animal Dental Care, Colorado Springs, CO.